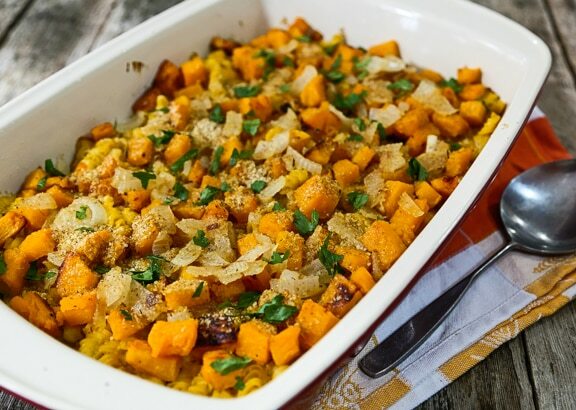 Vegan casseroles are always comforting, and it’s nice to know that they’re also good for you, not starchy and heavy like the old-fashioned kind. Choose from these vegan casserole recipes whenever you need a hearty dose of comfort food without the guilt! Creamy Pasta and Butternut Squash Casserole (at top) will remind you of macaroni and cheese. There’s no cheese here, just a delectable combo of smooth butternut squash, nutritional yeast, and silken tofu. The crowning touch is plenty of roasted butternut dice to top it off. 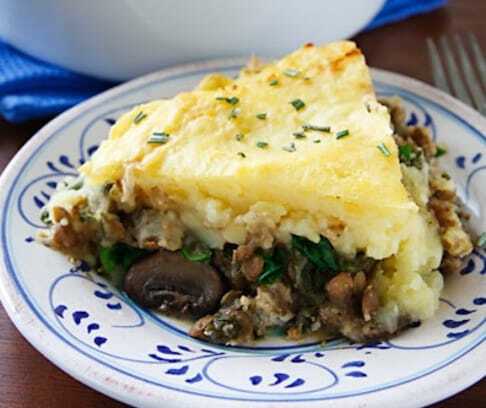 There are no words to describe Lentil and Mushroom Shepherd’s Pie, one of our readers all-time favorites from Vegan Holiday Kitchen) other than as a deep dish of absolute comfort. It’s a bit of a project, but not difficult, and definitely worth it for a special occasion meal. 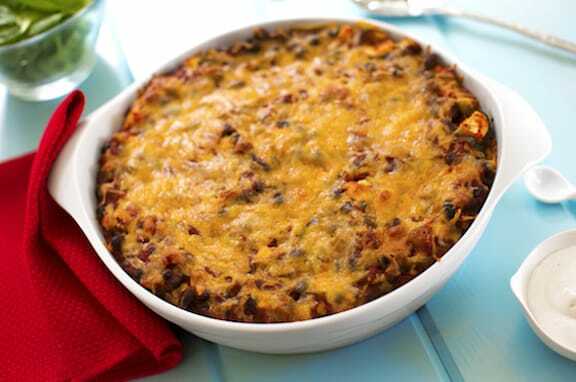 Black Bean and Zucchini Tortilla Casserole, or Chilaquiles, is a classic Southwestern casserole that layers soft corn tortillas with beans and cheese (vegan, in this case) The lively flavors make for a change-of-pace holiday main dish that’s easy enough to make for weeknight meals. 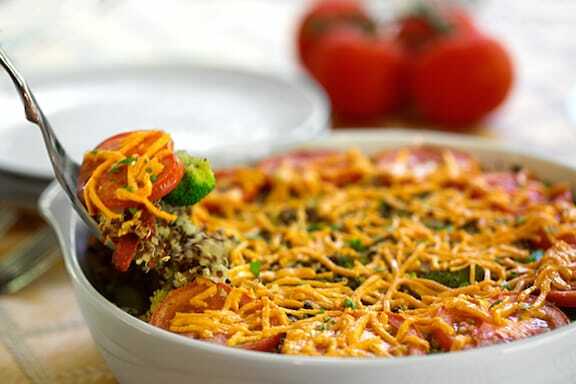 Quinoa, Broccoli, and Vegan Cheese Casserole makes for a dish that’s both nourishing and comforting. Serve with baked sweet potatoes and a salad of dark greens and ripe tomatoes. 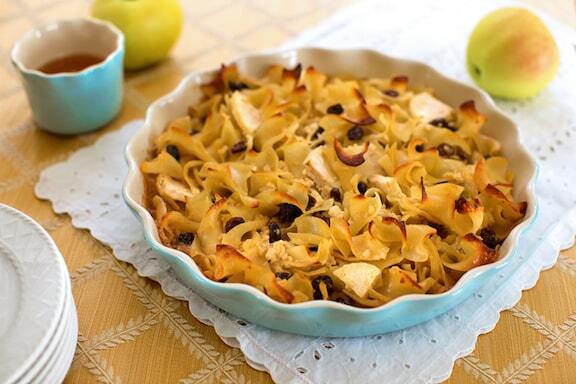 Vegan Noodle Kugel is a Jewish classic, always welcome at holiday celebrations. but there’s no reason not to make it any time you need some mildly sweet comfort. 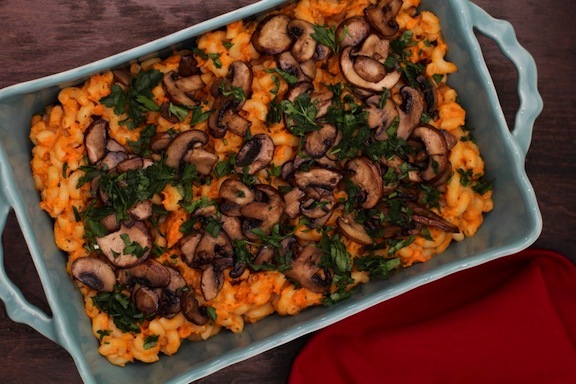 Roasted Sweet Potato Mac and Cheese is 100% vegan and so healthy! The ‘cheese’ in this recipe is a combination of roasted sweet potato, mustard, and nutritional yeast. The result is a nostalgic mac and cheese with a grown up edge. 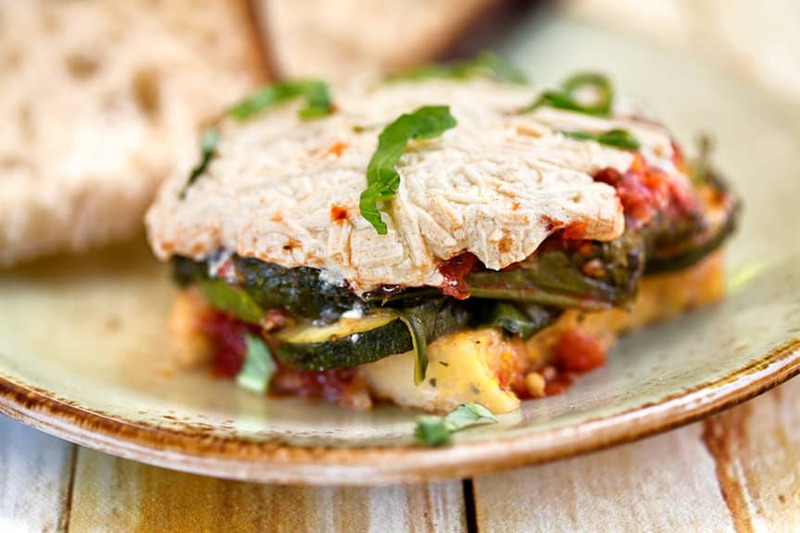 This easy Baked Polenta Casserole with Zucchini & Spinach uses prepared polenta (the kind that comes in a tube) layered with zucchini and spinach. Smothered in marinara sauce and topped with melty vegan cheese, it’s almost so embarrassingly easy to make, but such a crowd-pleaser. 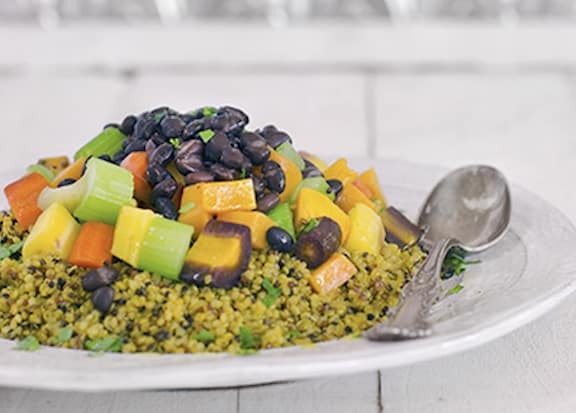 The quinoa and black beans in this dish are high in protein, making this colorful Roasted Veggie and Quinoa Casserole a hearty one-dish meal. It’s very budget-friendly, too. Cornbread is only as good as it is fresh; and when it’s past that point, I like to make Vegan Cornbread Stuffing as a casserole. Of course, if you don’t happen to have half a pan of leftover cornbread on hand, use a prepared cornbread. 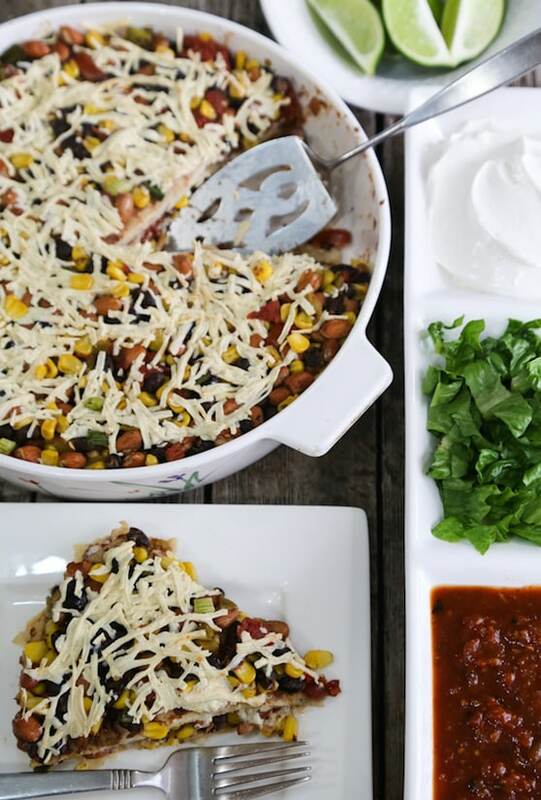 Super-Easy Tortilla Casserole is our favorite for when you’re in a hurry, filled with southwestern flavors. It involves throwing together a lot of convenient ingredients like canned beans and tomatoes, and frozen corn, but it’s unbelievably good when you need an emergency dinner. 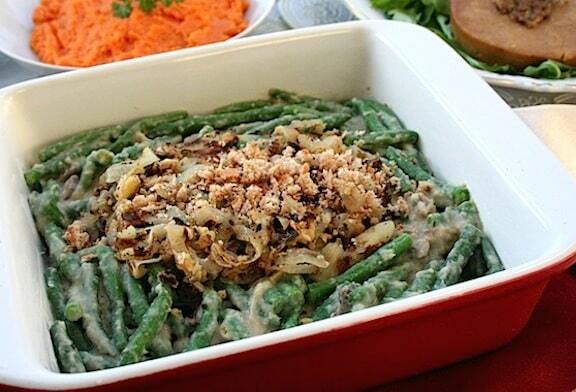 Vegan Green Bean Casserole is an update of a winter holiday favorite, especially if you’re planning a plant-basedThanksgiving. this one gets its creaminess from pureed white beans or silken tofu. Sautéed onions, crisped up with a lightly floured coating, make a yummy topping along with breadcrumbs. 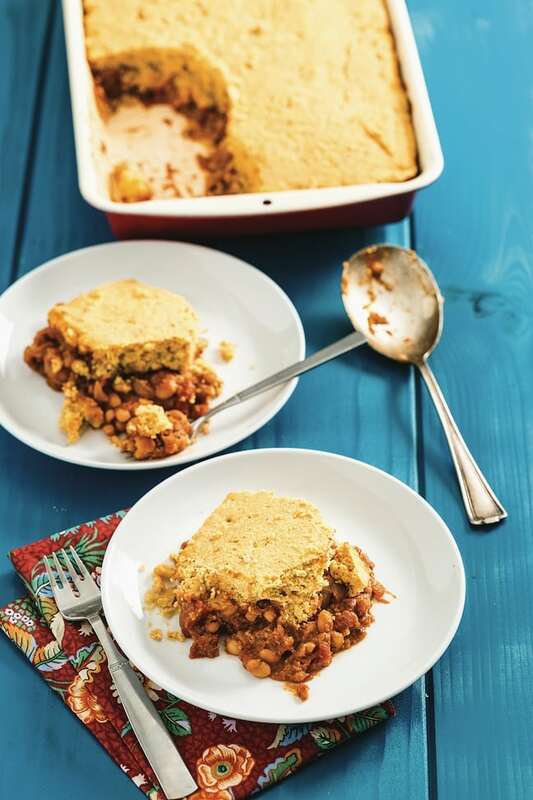 Maple Baked Beans and Cornbread Casserole by Kristy Turner has “cozy” written all over it. 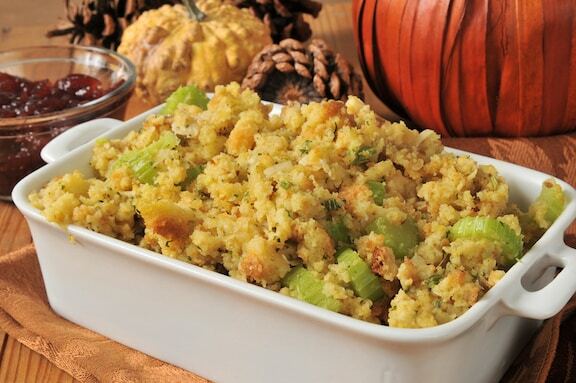 It’s a great choice for a vegan Thanksgiving main dish, or a special cold weather weekend meal for company. See lots more comforting and tasty Contemporary Casseroles here on VegKitchen. Making the shepherd’s pie tonight with sweet potatoes and the others are on my list. Thank you for all of the awesome recipes!